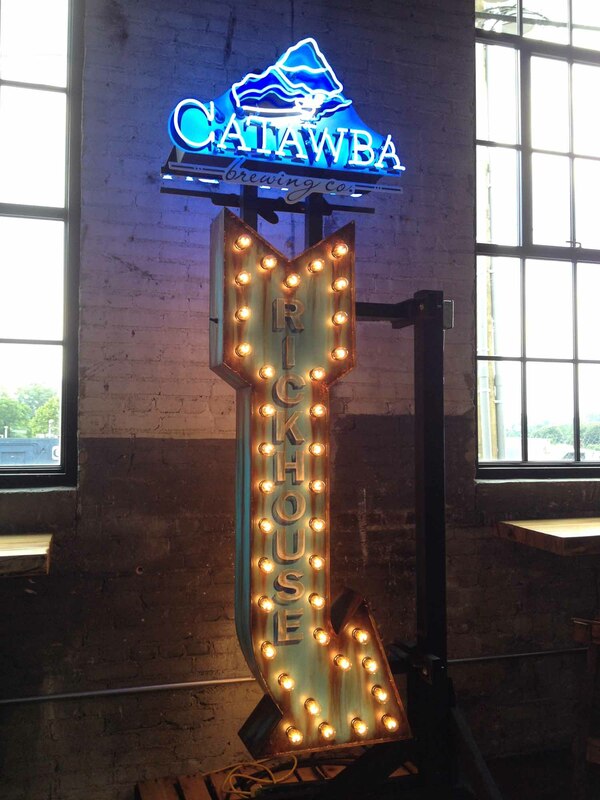 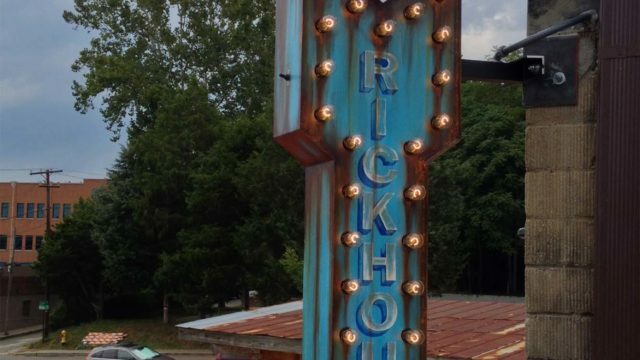 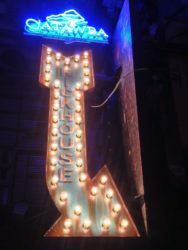 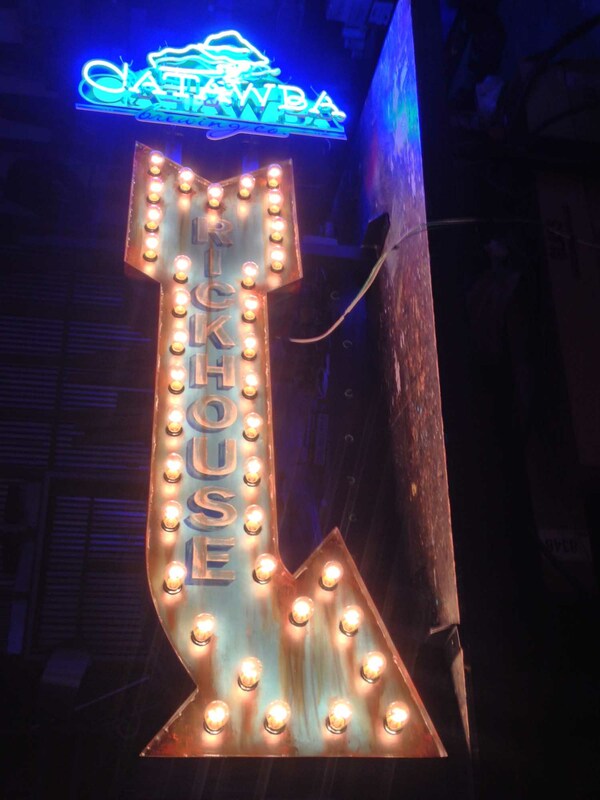 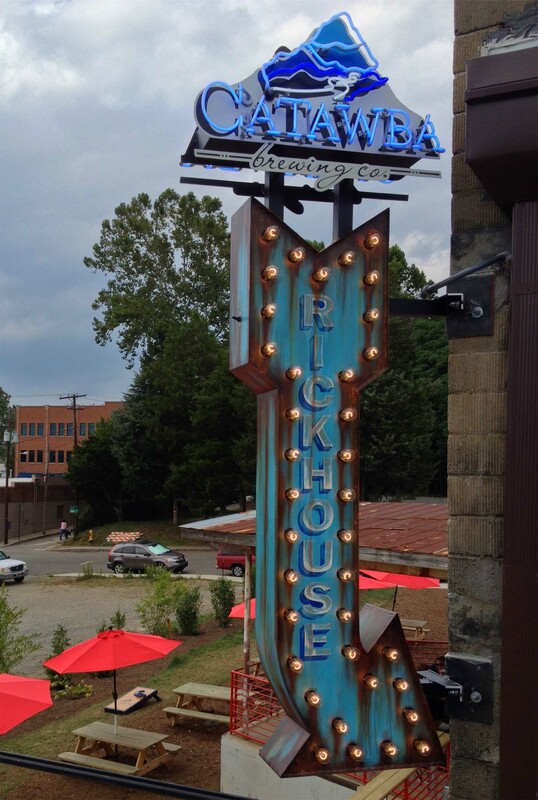 Catawba Brewing RickHouse neon sign | Sanford Neon! 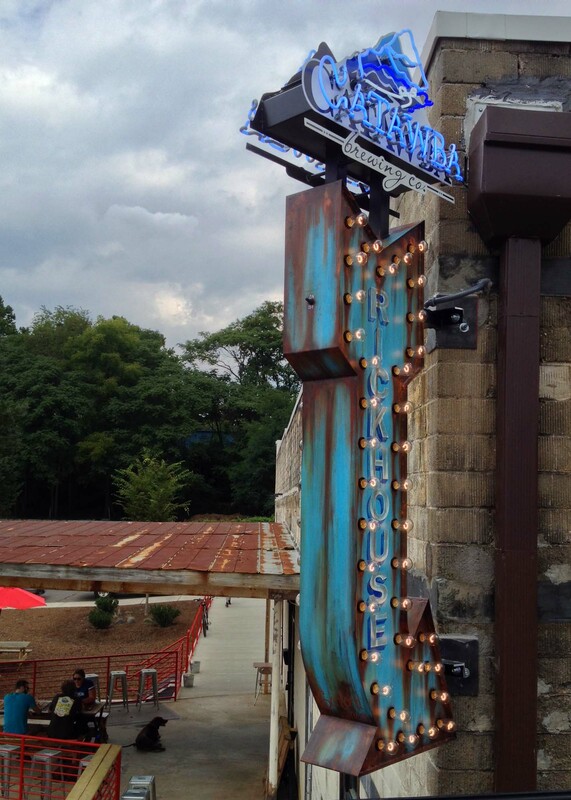 ← never, ever forget this flavor! Catawba Brewing C0‘s Rickhouse is the exclusive backroom hideout for Catawba Brewing’s South Slope Asheville brewery.. Speakeasy style incandescent bulbs light the way on the 6’ tall arrow. 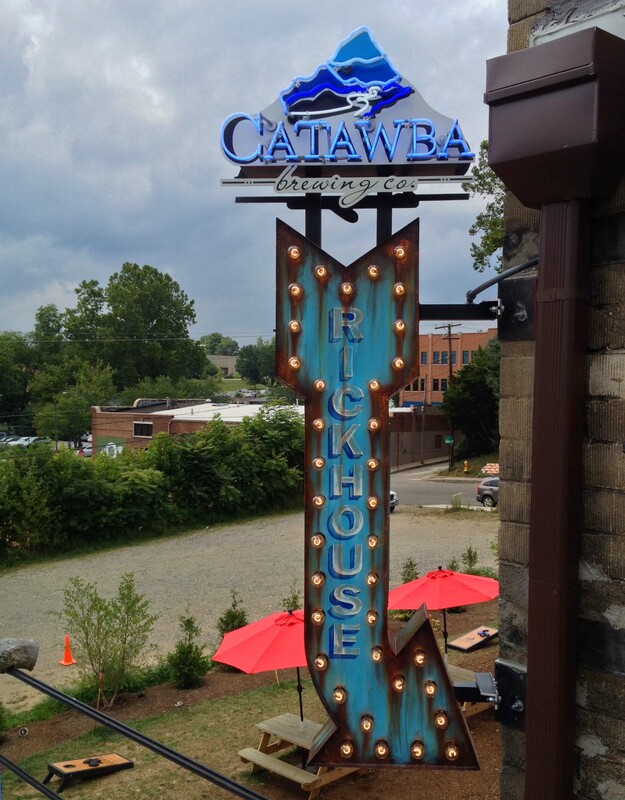 Catawba Brewing proudly displays their Blue Ridge Mountain inspired logo up top. 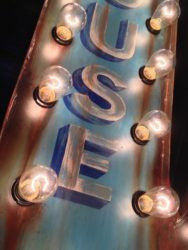 The neon tubes depicting the mountain are made of 4 colors each. The sign body is made entirely of aluminum and is meticulously painted to resemble a well weathered old blue sign.. Visit Sanford’s fb album for more build photos of this spectacular one of a kind sign.